Snow is no picnic. That is not a secret! Sure, it might be nice to throw around, to build snowmen or just into but no one enjoys shovelling! Property owners in the Olds area have, on average, about a foot a half of snow to deal with per winter. This might not sound like a lot overall but when the time comes to grab that shovel, it will seem like a ton! Instead of dealing with this problem all on your own, call a Gorilla to help you out! 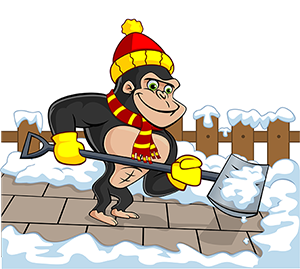 Our Gorillas have the time and muscle to make your Olds snow removal and salting a success. A fresh snow fall does not only mean warming and brushing off your car before leaving for work. A snow covered driveway, sidewalk or parking lot can create an unwelcoming environment. If you own a commercial space, having an impassable snow drift across your entry ways or a snow-covered parking lot, it can mean the difference between foot traffic and a bad sales day. At home, too much snow is a struggle for yourself, your family and anyone who tries to make to the door. Snow is bad enough on its own but ice is even worse. While snow might soak your socks, ice can knock them right off! When you want to stay upright and one your feet, call for our Olds snow removal and salting services. 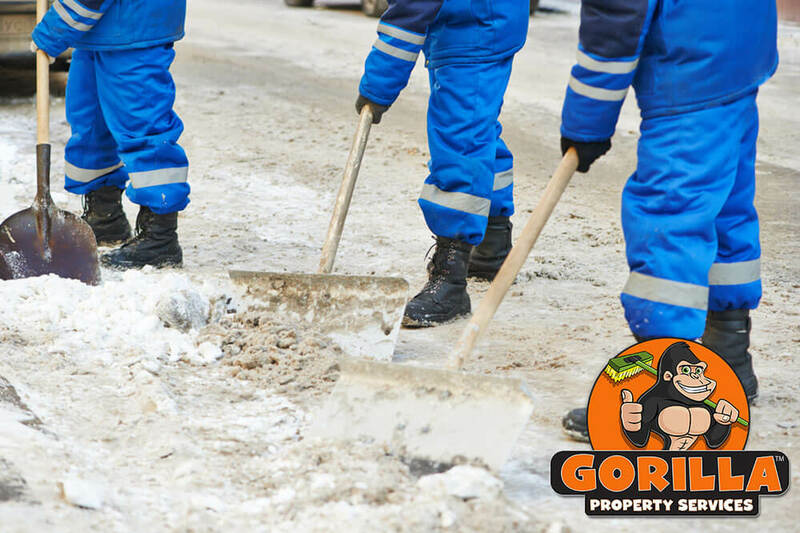 Over the years, our Gorillas have learned that the only way to get a proper result for your Olds snow removal is to be prepared. Our Gorillas monitor weather patterns in order to always keep ahead of removal trends and necessities. In addition to watching the skies and weather networks, our Gorillas are available for 24/7 emergency callout services. Our Gorillas are able to treat single dwelling, unattached, multi-unit and commercial properties, so what is holding you back from having a clean and welcoming space?